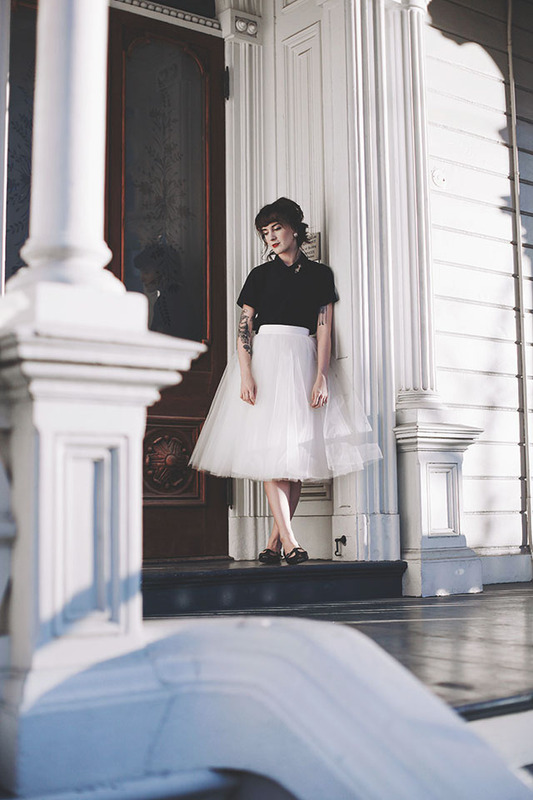 Interrupting my Paris travel posts here for a 2 part outfit post Ever since I received Alexandra Grecco's dusty blue tulle skirt that I wore on my birthday (see that post here!) 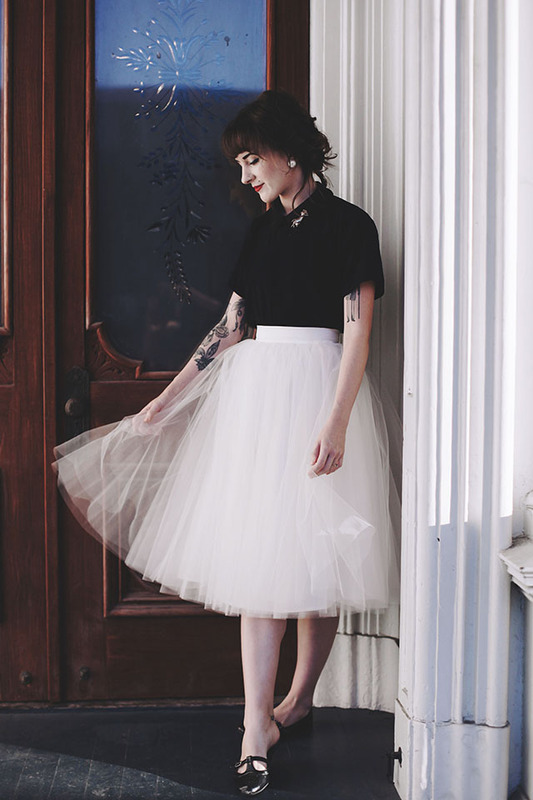 I couldn't wait to slip into another bundle of dreamy tulle loveliness. So, when I had a very happy mail day last week and this darling ivory number arrived I couldn't wait to wear it. 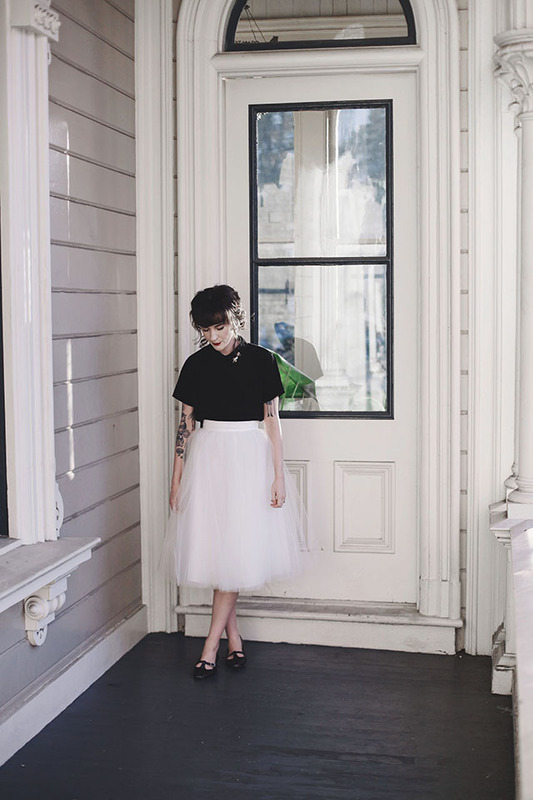 Initially I wanted to do all white but instead went with a more 50's style approach and paired it with a black peter pan collared blouse, vintage pin, pinned back curls, and black flats. Simple, easy, but still felt very put together. 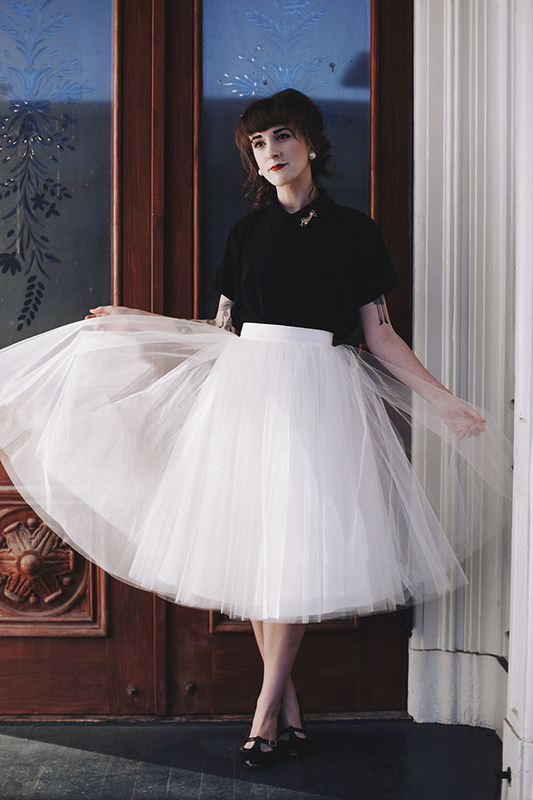 And of course anytime I wear one of these tulle skirts it feels like the most adorable adult version of dressing up like a princess or something. Such a beautiful skirt and you've put it together in the outfit so well. 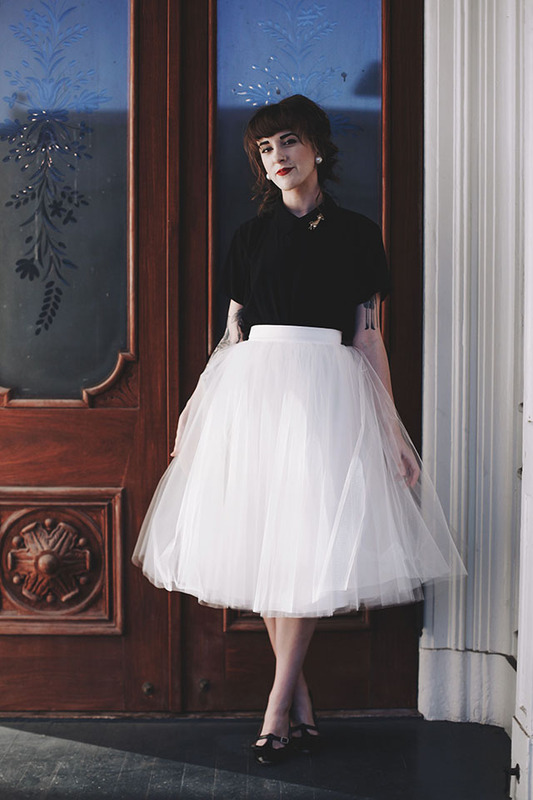 It must be lovely to twirl about in a pretty tulle skirt like that! 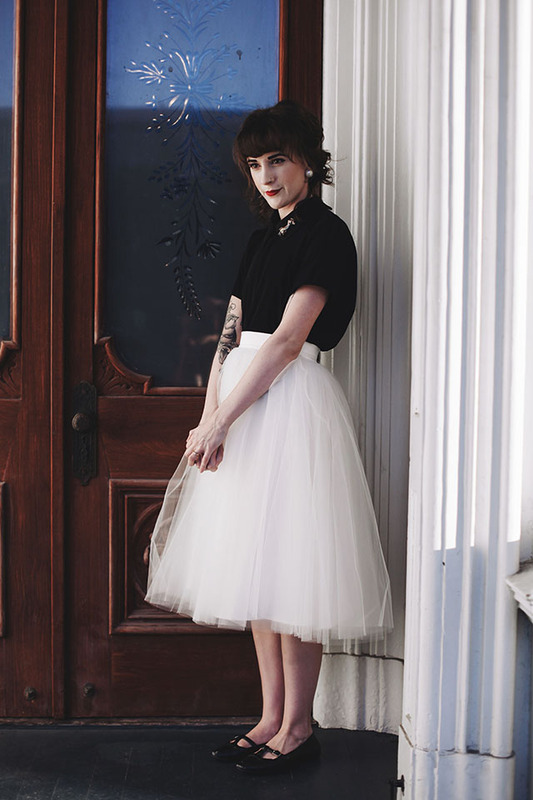 Oh my goodness, what a gorgeous skirt! It suits you so well, and I love how you've styled it!